Home / What is HD? 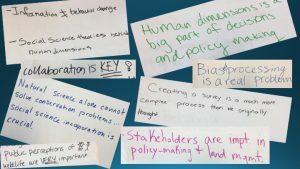 Human dimensions is a field of study that applies the social sciences to examine research questions that have implications for wildlife conservation efforts. Learn more about human dimensions and the work of the Dayer HD Lab, through this video. 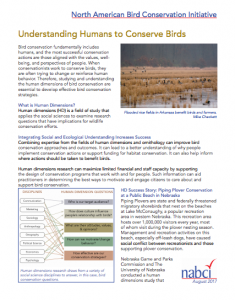 Also, learn more about how human dimensions is applied to conservation with this factsheet designed by Ashley Gramza and colleagues in the North American Bird Conservation Initiative. The various facets of human dimensions are also reflected in these insights from Dr. Dayer’s Human Dimensions of Fisheries and Wildlife students.